Chocolate. Cherries. Coconut. Could there be a better combination for a Valentine’s Day (or any day) treat? 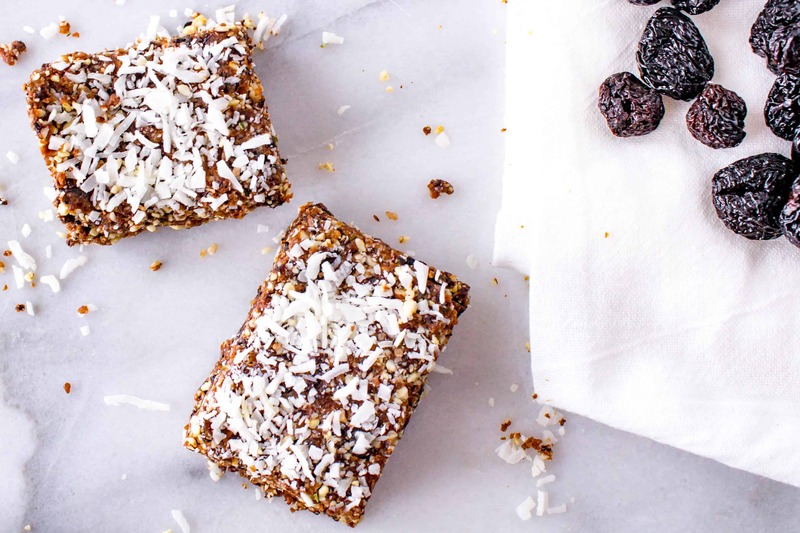 I mean, the chickpea/chocolate/goji berry combo from my very first post may come close but I don’t know, there’s just something about these CCC bars. I love cherries and chocolate. Together they make the most perfectly classic Valentine’s Day duo. 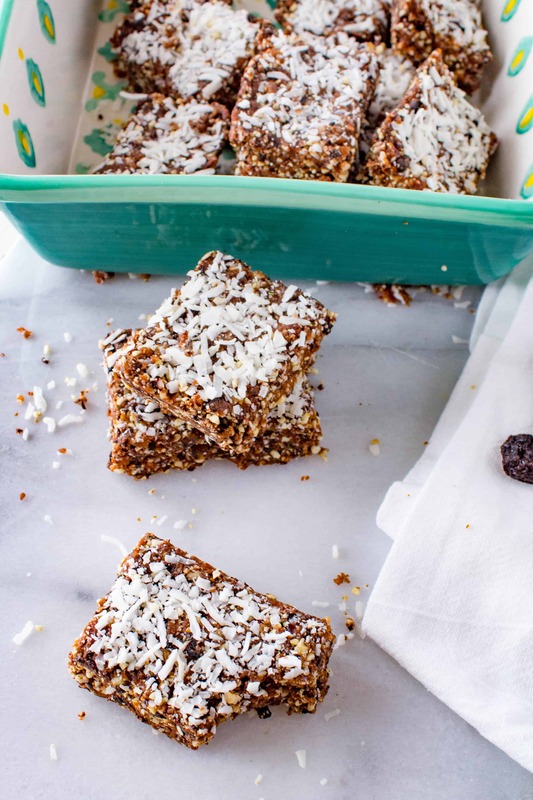 Add some crunchy shredded coconut flakes and it’s over. Just way too good. These were made to be a dessert but they’re prepared without any added sugar/sweeteners. I’m equally satisfied with these bars for dessert as I am for snacks. They’re always good. I just call it dessert if it happens after dinner. Beyond flavor, cherries also provide tons of beneficial nutrients that help protect the heart. Cherries are rich sources of antioxidants, like vitamin C and beta carotene, which are associated with a lower risk for heart disease. Cherries also provide potassium, which aids in fluid balance and helps balance blood pressure. They’re also rich sources of phytosterols, which are important for cholesterol balance. 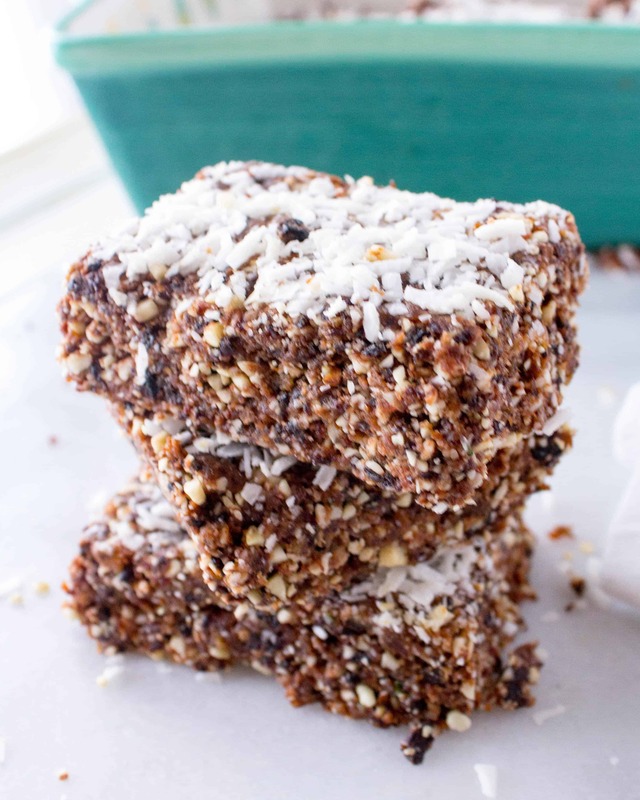 A no-bake Valentine’s Day treat that uses mostly pantry ingredients and no added sugar. Heart-healthy cherries, which also offer healthy carbohydrates and fiber. 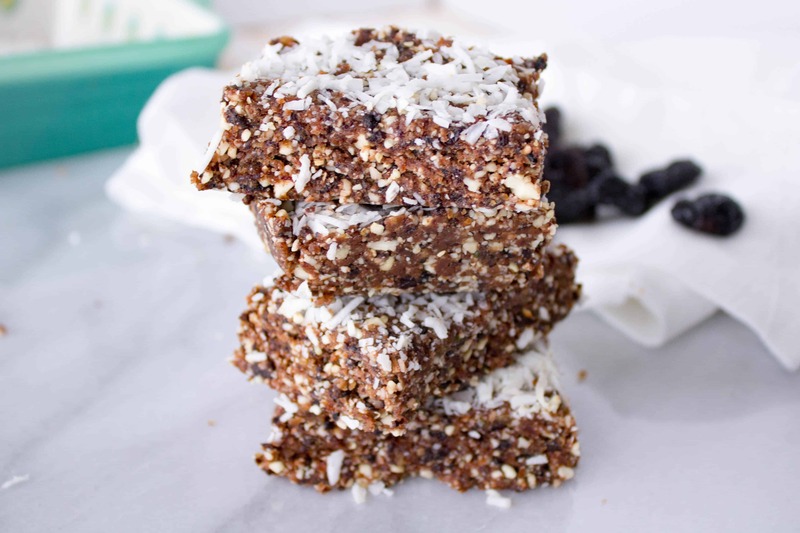 Healthy fats and long-lasting energy from nuts and seeds. 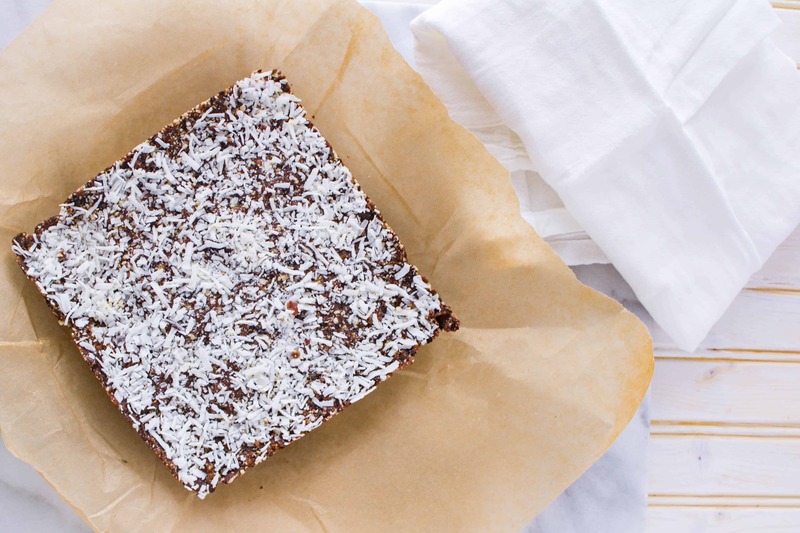 An excuse to call your dessert a snack. 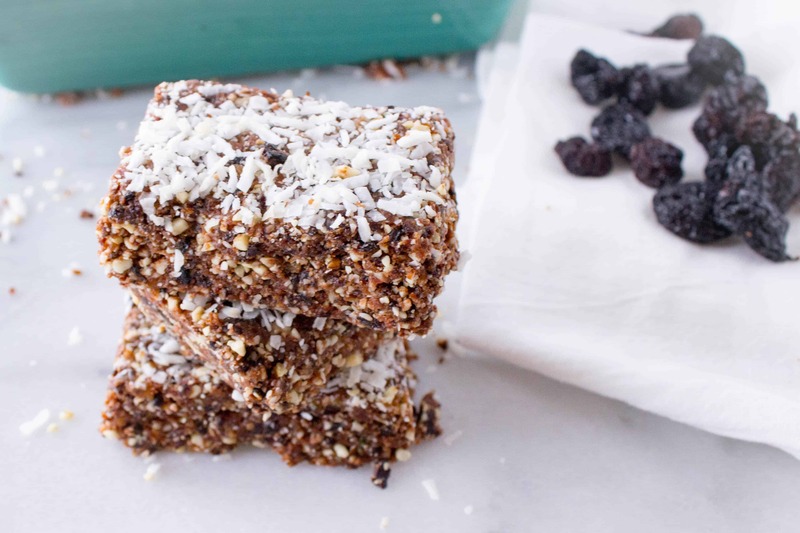 Chocolate, dried cherries, and coconut combine to create a no-bake Valentine's Day (or any day) treat that's every bit as nutritious as it is tasty. 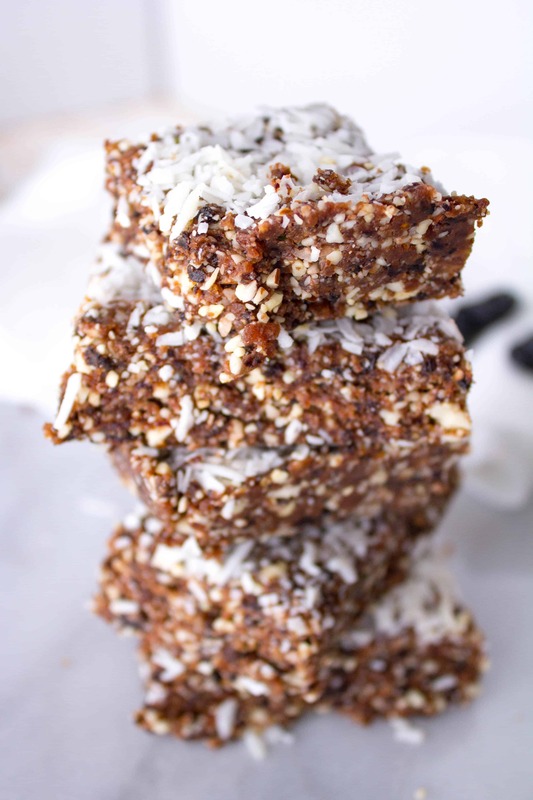 Combine all ingredients except 1/4 cup coconut in for processor and process until well-combined. Mixture should stick together when pressed. If it's crumbling, try adding a couple of dates and processing again. Press the mixture into a parchment-lined baking dish using hands or the back of a spoon to make sure it's firm and flat. Refrigerate for at least 30 minutes before cutting into squares and serving. Thanks Rebecca! Some of my favorites all put together into one bar! ☺️?? Dried cherries are soooooo good. Can’t wait to try this recipe.